Ubisoft has launched Assassin’s Creed Project Legacy beta, a social role-playing game on Facebook Platform. Assassin’s Creed Project Legacy will serve as a companion to the gameplay experience of Assassin’s Creed® Brotherhood, which will be available on November 16, 2010 for the Sony PlayStation®3 computer entertainment system and Xbox 360® video game and entertainment system from Microsoft. It also marks the first time that Ubisoft has integrated a social game into a console title. 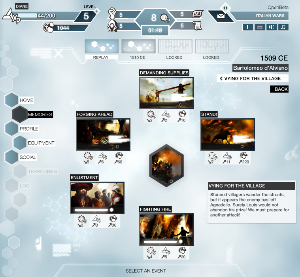 Utilizing the web services functionality of Assassin’s Creed Brotherhood, players can move from game to web and web to game, unlocking hidden features throughout the Assassin’s Creed universe. Players of Assassin’s Creed Brotherhood will be able to unlock up to 25 exclusive missions in Assassin’s Creed Project Legacy, allowing players to earn currency and experience points within the Facebook game. Assassin’s Creed Project Legacy players will also be able to unlock extra content in Assassin’s Creed Brotherhood. By piecing clues together, players will learn the hidden mysteries within the Assassin’s Creed universe. EA Mobile™ has announced the availability of EA SPORTS™ FIFA Soccer 11 in the App Store™. The popular soccer franchise features over 30 officially licensed leagues, 35 authentic stadiums, 500 licensed teams and more than 15,000 players from around the world for thunderous matches on the iPhone and iPod touch. FIFA Soccer 11 features new dual control options providing gameplay sophistication for veterans and simplicity for casual players. The game features unprecedented ball-control and fluid animations with 360° player movement while gesture-driven skill moves dazzle the opposing team with defense-splitting passes, rifling shots, penalty kicks and pro-style tricks. Players can also pick between two modes, either electing to play as their favorite team and battle the entire league or trying their luck in a tournament knockout. FIFA Soccer 11 features officially licensed teams and the world’s best players enabling gamers to play with their favorite superstars including Real Madrid’s Kaká and Manchester United’s Wayne Rooney. FIFA Soccer 11 is available today from the App Store for iPhone 4, iPhone 3GS and iPod touch. Toronto-based start-up DrinkBox Studios today announced that their alien-invasion-themed co-op platformer Tales from Space: About a Blob will be released in early 2011 as part of Sony Computer Entertainment America’s “Pub Fund” program. Developers looking to release a game through the Pub Fund initiative must be prepared to build it to completion and commit to a period of console platform exclusivity. In return, approved developers receive a development-budget-matching royalty guarantee from SCEA. A number of popular PlayStation®Network games, including Burn Zombie Burn by DoubleSix and Joe Danger by Hello Games, have already been released through the program. Moncton software developer DOVICO Software has announced DOVICO Planning & Timesheet, a new software product from the makers of the industry leading DOVICO Timesheet. Building upon DOVICO’s Time Tracking foundation and user experiences, this new product answers the need for customers who want quick answers to simple questions such as: ‘Who is available and who is not?’, ‘How long will this project REALLY take to complete?’, ‘How much will this project cost us?’. DOVICO Planning & Timesheet: It’s easy to try and the first 30 days are free. * Determine whether you should take on a project or not. * Ensure that your proposed project plan is accurate and profitable. * Know which of your employees are being under/over utilized. * Easy transition from a spreadsheet template such as MS Excel, simply copy and paste! * Affirm that your best talent is working on your mission critical projects. * Save time and costs in the planning process with our innovative tool that unites project planning and resource utilization. * Reduce project overruns with our project forecasting tools so you can fix any issues proactively. * Shorten billing cycles and get paid sooner. * Deliver projects on time and on budget. 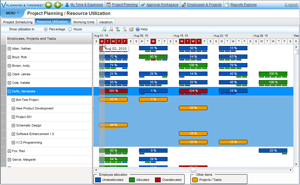 * Easily shift project priorities with our resource reassignment tools. * High employee adoption with our intuitive time tracking solution. Random House of Canada is pleased to announce its move into the mobile screen space with a first-of-its-kind app based on interesting and fun facts from new and bestselling books from Random House of Canada and McClelland & Stewart. Conversation Starters is a first in the book publishing industry, an insightful collection of fun and interesting facts from new & bestselling books presented in an easy-to-use Did You Know format. 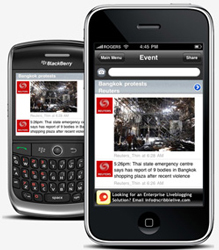 Created for both the iPAD and iPhone/iPod touch, this free application has a leading edge mobile user experience and design technology with a personality of its own, engaging users both 1:1 with the app and 1:many when users of the app take what they have learned and share with others to spark conversation. Conversation Starters allows people to boost their knowledge and keep the conversation flowing, and to share facts and tidbits with friends through email, Facebook and Twitter. Users can also read an expanded selection from each book with just one click, and to keep reading, they can easily connect to online retailers. Along with the launch of this app, Random House of Canada has optimized key content areas of the Booklounge.ca site for small mobile screens – the highest trafficked pages on the site such as bestsellers, new releases, and books in the news can now be found here http://m.booklounge.ca. The iconic Mega Bloks® system, beloved by parents and children around the world, turns 25 and to mark this milestone, MEGA Brands is launching its biggest promotion and giving North American families the chance to win $25,000 towards their children’s future. From October 1 to November 30, 2010, North American families can participate in Mega Bloks®’ birthday contest through two possibilities: in-store and online. At all major retailers in North America, participants can simply purchase the award-winning 80-piece Mega Bloks® bag and peel off their in-pack peel off contest card to instantly get the chance to win the grand prize of $25,000 for their children’s future or one of 25 Mega Bloks® prize packs valued at $500. Participants also have another chance to win one of 25 Mega Bloks® prize packs valued each at $500 by going online and registering at www.megabloks.com/25. 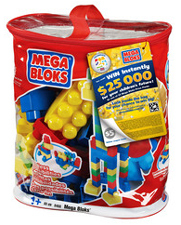 The 25th birthday promotion is one of the many marketing initiatives supporting Mega Bloks®’s 25th Birthday. The company is also celebrating this occasion through retail events at Toys “R” Us throughout North America, a Mega Bloks® 25th Birthday feature shop in Toys “R” Us Canada, and a new and exciting Mega Bloks® iPhone and iPad application for preschoolers ages two to five. Discover the groundbreaking RPG, winner of more than 50 awards including more than 30 ‘Game of the Year’ awards! You are a Grey Warden, one of the last of a legendary order of guardians. With the return of mankind’s ancient foe and the kingdom engulfed in civil war, you have been chosen by fate to unite the shattered lands and slay the archdemon once and for all. Explore a stunning world, make complex moral choices, and engage in bone-crushing visceral combat against massive and terrifying creatures. The story of the Grey Wardens continues as you are named Commander of the order. As your first duties you have been entrusted with rebuilding the order as well as uncovering the secrets of the darkspawn and how they managed to endure. Fight new enemies, learn new skills and spells, and explore an all-new area of the world, Amaranthine. 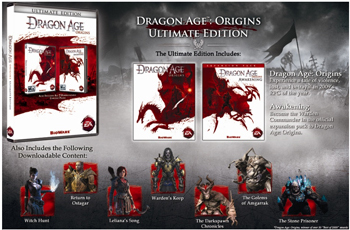 Extend your adventure, collect new rewards, gain new party members, and more as you delve deeper into the Dragon Age™ saga. Electronic Arts Inc. has introduced a comprehensive insights suite which provides marketers with actionable consumer data based on their activity in and around EA games. A first of its kind, EA’s insights suite is a cross-platform tool which pulls together campaign performance, brand impact, social buzz, and where available, ROI, across all platforms on the EA network – mobile, social, online and console. Over time, advertisers will be able to benchmark their performance against their competitive set. The Government of Canada has launched a program to help kickstart Canadian businesses by testing their innovative products and services within the Government of Canada before taking them to the marketplace. To make the announcement, the Honourable Rona Ambrose, Minister of Public Works and Government Services and Minister for Status of Women, was joined by Honourable Jim Flaherty, Minister of Finance and Minister Responsible for the Greater Toronto Area, and the Honourable Rob Moore, Minister of State for Small Business and Tourism. This program is a new $40 million program announced under Budget 2010 to encourage federal departments and agencies to test innovative products and services in four areas: environment, health, safety and security, and enabling technologies. More information about the Canadian Innovation Commercialization Program and Buy-Sell can be viewed online at their respective web sites. Canadian Partnering Program at ModSim World 2010. The conference will be held October 12th – 15th at the Hampton Roads Convention Center in Hampton, Virgina. The program starts off on Tuesday, Oct 12, at 3:00 pm with an Information Session and Tutorial at Innovation Research Park at Old Dominion University, including a chance to practice your pitch with local companies, and will feature a site visit to see the school’s latest medical modeling and simulation technology. The program will focus on finding partners for our Canadian participants. The Canadian Embassy will have a meeting room at the Convention Centre for one-on-one meetings, and will help set up meetings in advance for all participants, so get your company profiles in as soon as possible. Wednesday will include a site visit to NASA’s Langley Research Centre, and all Canadian participants will receive a complimentary pass to the ModSim World VIP reception. Thursday will feature the Canadian Happy Hour. This invite-only event will allow you to meet with invitees chosen to suit the Canadian attendees, as well as giving each participant the chance to invite conference attendees that they meet during ModSim. Companies are encouraged to indicate their interest, and provide a company profile as soon as possible. Don’t miss out on this exciting opportunity! There is no fee for Canadian participants (ModSim World registration not included). If you are interested in participating and would like more information, please contact Daniel Zaharychuk or send your company profile to Assistant Trade Commissioner Stephane Eyer. Gartner’s MarketScope provides specific guidance for users who are deploying, or have deployed, products or services. A vendor with a “Strong Positive” rating is viewed by Gartner as a provider of strategic products, services or solutions, meaning that current customers should continue with investments while potential customers should consider the vendor a strong choice for strategic investments. Open Text Records Management helps organizations safeguard against the liability, risk and cost of content and provides a way to verify the integrity of business practices. By ensuring that business policies and legal requirements govern the retention and disposition of content, Open Text Records Management helps organizations comply with worldwide regulations, standards, and certifications, such as U.S. DoD 5015.2, U.S. FDA 21 CFR Part 11, U.S. SEC Rule 17a, Europe’s MoReq, and Australia’s VERS. Open Text Records Management is a service provided to all applications of the Open Text ECM Suite and uses the core enterprise archiving capabilities of the suite. Toronto-based ScribbleLive has launched the latest version of its live content management system (CMS) to help journalists spread news in real time. Social media services deliver information at a rapid pace. ScribbleLive enables media companies to harness the immediacy of these technologies while maintaining the control required in the newsroom to cover developing news events in a new style that meets the needs of its audience – fast, engaging and collaborative. 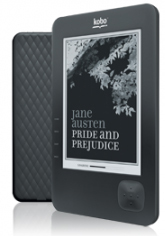 Kobo has announced the new Kobo Wireless eReader, the newest addition to the Kobo family. The new Kobo Wireless eReader adds WiFi connectivity, upgraded hardware with faster performance, longer battery life, and a sharper eInk screen. With the new Kobo Wireless eReader, consumers can now shop on the go, anytime, anyplace, directly from their Kobo eReader with one touch of the “Shop” button. Adding over 200,000 books in six months, the Kobo store now boasts over 2.2 million books including today’s new releases and bestsellers, timeless classics and thousands of free books. Consumers can read on any device – iPad, iPhone, Blackberry, Android, PC, MAC, Linux, and their library will always be up to date on their eReader. The addition of WiFi means consumers can now receive wireless deliveries of popular newspapers and magazines directly to their eReader. With this release, Kobo demonstrates its continued commitment to providing customers with a choice when reading, rather than locking them in to a single provider. Support for open standards like EPUB and PDF means that customers can easily borrow and read the latest eBooks from their local library – for FREE – and also upload documents with an SD card, drag n’ drop or Adobe Digital editions. The eReader comes pre-loaded with 100 free literary masterpieces including a selection of fiction, memoirs, politics, philosophy and more. The Kobo Wireless eReader will be available for $149 CAD at Kobobooks.com, and will be available for purchase at Borders US, Indigo Books & Music and Walmart in Canada. Online pre-orders begin today with the Kobo eReader being shipped to customers in October. The Kobo Wireless eReader is now available in three stylish colors: Onyx, Porcelain with Metallic Silver back, and Porcelain with a Pearlized Lilac back. To celebrate the launch of the new Kobo Wireless eReader, Kobo has partnered with Random House of Canada and is pleased to offer two FREE eBooks to customers who pre-order the new eReader exclusively through Kobobooks.com or at Indigo Books & Music in Canada. The titles include International bestselling author Linwood Barclay’s critically acclaimed novel Fear The Worst which delivers readers a fast-paced suspense story, while When My World Was Very Small by Ruth Rakoff provides an intimate, one-of-a-kind memoir of family, food, cancer and recovery. Together these titles provide customers with an additional value of $59.90. Sean Doherty, president and founder of New Brunswick-based Freelance Games, is proud to announce the release of its first independent game for the XBOX 360 – Starchon. The arcade game’s description is as follows: The Engage the Pigia horde and defend the Super Defense Carrier while you destroy everything in your path. Unlock 5 game-altering playable starships, plus more than 39 components including weapons, shields, engines, and power generators. Over 80+ sectors of glorious victory. 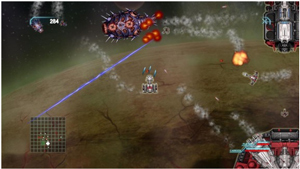 Starchon can be purchased by surfing to the XBOX Live indie games forum, and searching for “Starchon”. In addition to being available directly through the Games Marketplace on Xbox 360 consoles, the game can be queued for download at the Xbox 360 Marketplace site. The price of the game is 80 Microsoft Points (equivalent to about $1).